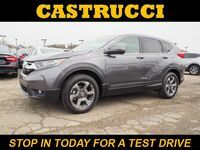 If you want a crossover that has proven itself year after year, leading the way as one of the best selling vehicles in the crossover market and you can find them at Matt Castrucci Honda-the 2015 Honda CR-V in Dayton, OH. This perfectly sized vehicle is an excellent pick for the family or even you and the dog. It’s a versatile vehicle, ready for any situation inside and out. You can check out all the options that we have online. Each one of them comes standard with a new engine and an upgraded fuel economy, with 34 hwy mpg*. You will also be seeing an increase to 181lb-ft. of torque from 163. This makes the choice even easier. And after you made it, let us know which one you would like. We can take you on a test ride and teach you everything that you need to know about this great vehicle. 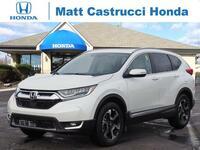 Now that we have it in stock, it's your turn to try out the 2015 Honda CR-V in Dayton, OH in person. Schedule a test drive today and experience the difference. The CR-V has had some changes made to the headlights and body with to give it a sleeker look from front to back. The technology filled compact SUV, which could already had the simple pieces of information covered will now come with the advanced capabilities of the new infotainment system, HondaLink. You also won’t have to strain your neck while backing out of your garage now that you can see what’s behind with the back-up camera and it’s three possible views. The 2015 Honda CR-V’s audio system can stream your favorite music with Pandora, your phone or your iPod with its several options for entertainment. The spacious interior also offers headrests for every passenger, to keep everyone comfortable. And the easy fold down seats make it convenient to store anything you might need for some outdoor fun. The available all wheel drive reacts quickly with it’s Real Time AWD Intelligent Control System. This helps to decrease the noises and vibrations of the roads of Denver. The system only operates when needed and the electronic activation system requires little to no service work, making this a functional and low maintenance vehicle. 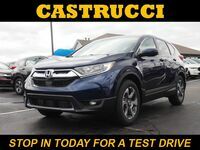 If you think that the 2015 Honda CR-V is the right car for you then give us a call and we can teach you even more about this great SUV. 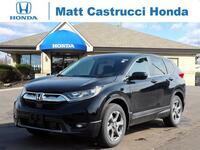 Our sales team at Matt Castrucci Honda is ready to answer any of the questions you may have.